How belonging and social proof can lead to behavior change. If you were to go fishing in the remote town of Dadal today, located along the idyllic shores of the Onon River in the north-east of Mongolia, you would be approached by a friendly local fisher. He would offer to provide you with the proper license so you would be fishing there legally, and serve as your fishing guide for the day. You’d be trained on approved fishing techniques, such as which hooks you can use and where you can fish. And you’d be taught one of the most important rules: if you catch a taimen, then you must release it back into the Onon. Yet a decade ago, this would not have been the case. In fact, this same helpful fishing guide was not releasing taimen back into the Onon himself or following other local fishing rules. Truthfully, very few fishers at that time were following the rules. As a result, the population of taimen — a top predator species important to maintaining ecosystem balance — was in steady decline. So how did a community of fishers go from rule breakers to rule makers? 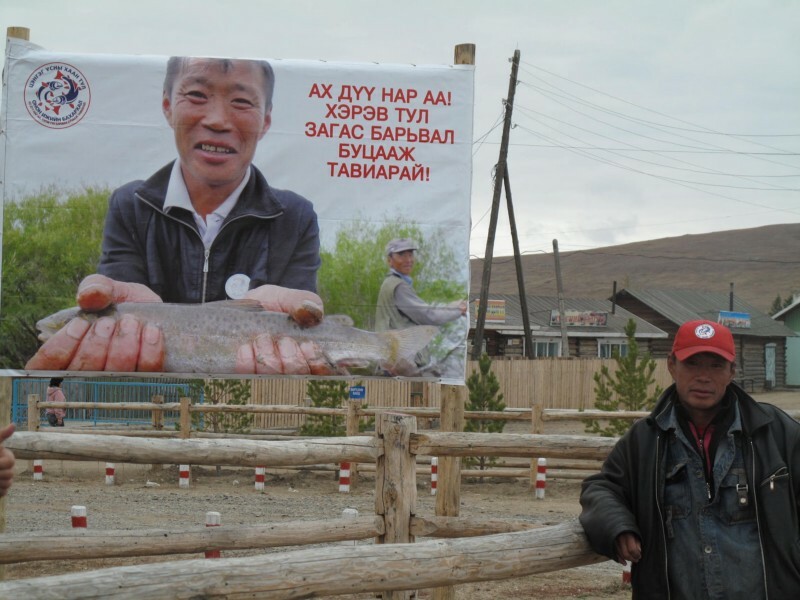 This shift in fishing norms is a result of a behavior change program led by World Wildlife Fund (WWF)-Mongolia and supported by Rare and Mongolia River Outfitters. 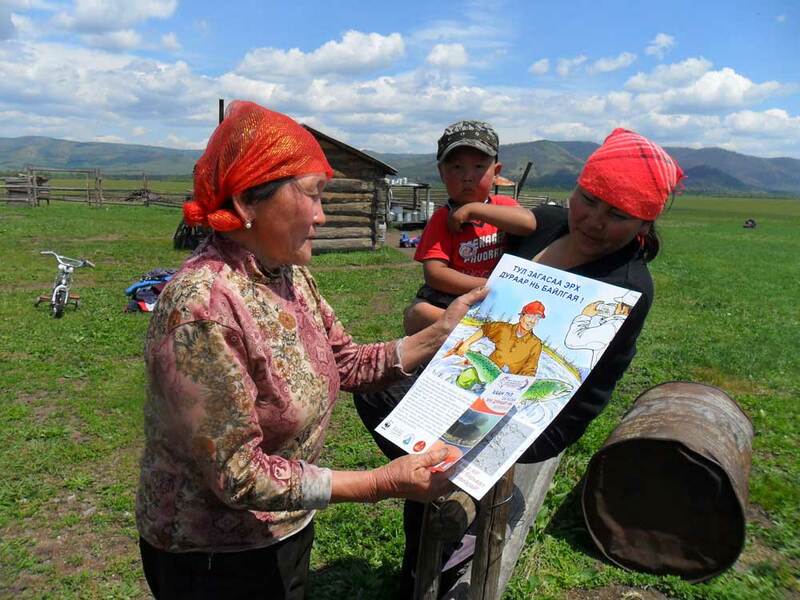 WWF-Mongolia has a long history of positive engagements and effective natural resource management efforts among the Onon River communities. By adding in the powerful ingredient of a Rare Pride social marketing campaign, they were able to tip the scales towards sustained behavior change. And the campaign did so by tapping into the emotional drivers of belonging and social proof. Becoming an accepted member of a group we feel good about is a powerful emotional driver. It provides a sense of social security, it creates a strong shared purpose, and it enhances positive collaborations. Traditionally, fishers in this area worked alone, which is common for a historically nomadic culture. 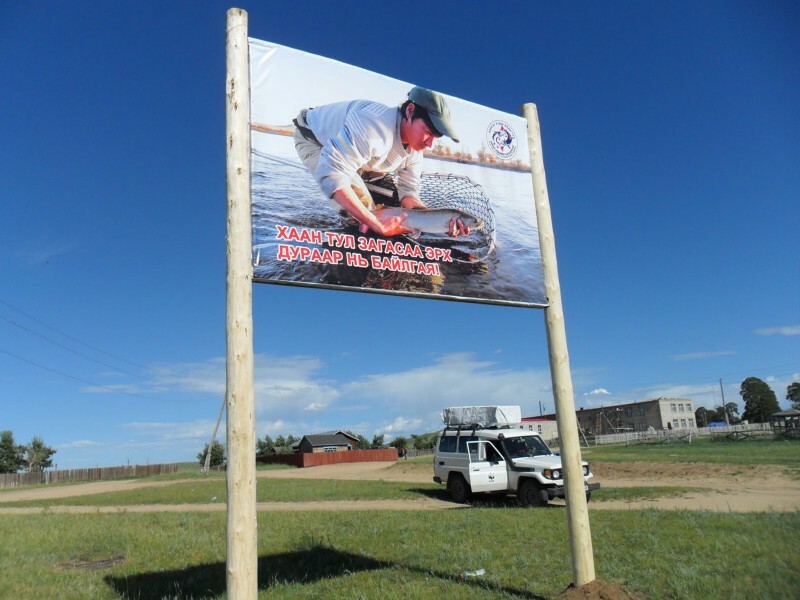 So, when WWF-Mongolia introduced the concept of forming official clubs, they weren’t sure if fishers would be receptive to joining forces with one another. 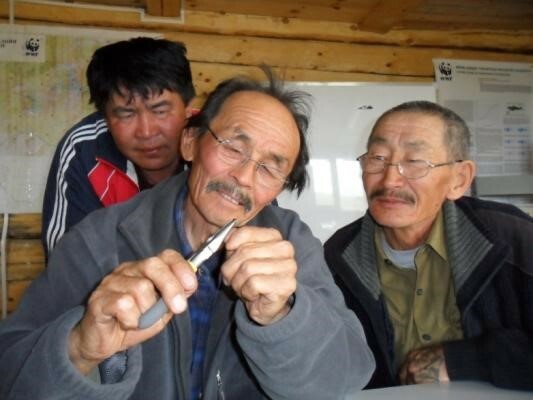 Although a bit hesitant, the fishers were open to exploring the idea, as they were interested in learning new fishing techniques they had not yet mastered and the prospect of becoming official fishing guides. 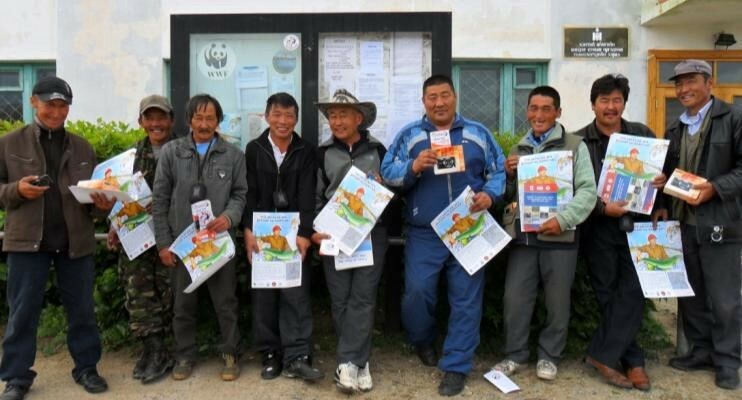 A pilot group of 30 experienced and skilled fishers were engaged in a series of capacity building sessions led by WWF-Mongolia. Trainings focused on fly-fishing techniques, which require releasing a fish after it’s caught, as well as other important conservation skills such as: species and river health monitoring, gear maintenance, proper fish handling, and local rules and regulations. Through these joint activities, the fishers formed bonds around their shared love of taimen and fishing. And began to view one another as allies instead of competitors. Fishing club members learning how to bend barbs on hooks so they cause less harm to fish. Becoming official members of the newly formed fishing clubs was a badge of honor for the founding members. They felt great pride in being better fishers, in protecting the health of the river and serving as stewards for taimen, and in being equipped to train other fishers in catch-and-release techniques. When an individual is unsure of the proper behaviors for a certain situation, they will look to see what the majority of others are doing and follow suit. This happens both in new situations where the behaviors are unknown, and in familiar situations when previously considered “proper behaviors” have shifted to new ones. Therefore, it’s always important to provide a set of visual and verbal cues to demonstrate the proper and acceptable behaviors. The 30 fishing club members demonstrated the new standards for acceptable fishing, especially the catch-and-release of taimen, during their regular fishing trips. But there was a need to expand the visibility of these behaviors so more members of the community could be exposed to the new norm. This was achieved by incorporating pictures of these well-known and influential fishers into the Pride campaign materials and posting them all around the towns. All pictures model proper fish handling techniques and include the call-to-action of: brothers, if we catch a taimen, let us release it. Billboards featuring images of well-known and highly respected local fishermen are posted throughout all the towns. Photos: Gankhuyag Balbar. The high visibility of these materials and messages sent a clear signal to the entire community, and outside visitors, about the new fishing norms. And they gave first-hand proof that the top fishers in the area were already adopting these practices. Through this combination of capacity building, engagement and empowerment, and inspiring campaign messages, the WWF and Rare program achieved a big shift in perceptions and norms. In the first two years of the program (2009–2010), there was a 75 percentage point increase in the number of discussions among fishers about releasing taimen instead of keeping them (from 12.3% to 87.3%). This was accompanied by a 48.7% increase in the taimen population during that same period (roughly 288 fish). Self-reported knowledge of fishing laws, stated as knowing “laws and fines/penalties accurately,” grew from an initial baseline of 8.2% in 2009 to 45.7% in 2010, and grew even further to 99% in a 2015 follow-up survey. In this same 2015 follow-up survey, 100% of respondents answered that a taimen should always be put back into the Onon River after it is caught. When the program started, only 36.5% of the surveyed population felt this way. 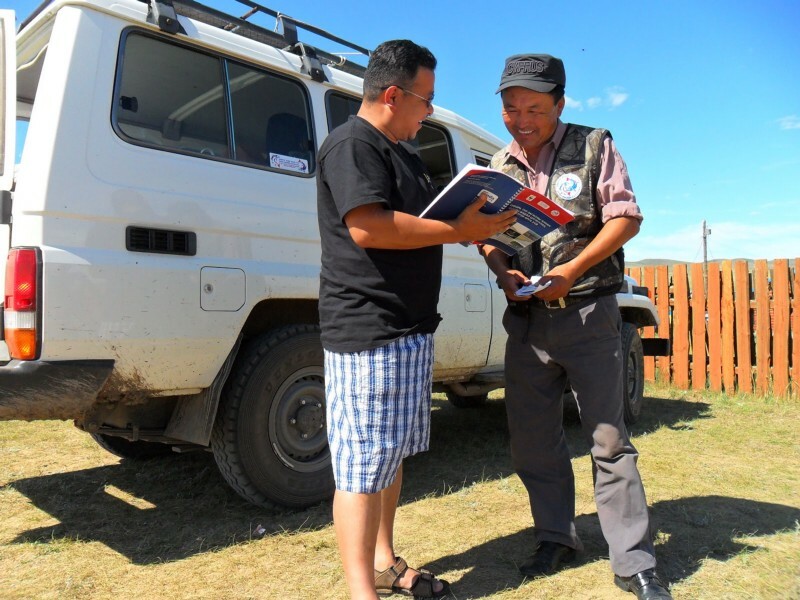 Elements of this successful program are spreading to other popular fishing areas in Mongolia, and partner organizations are adopting the behaviorally-infused campaign materials to achieve similar shifts in fishing norms. 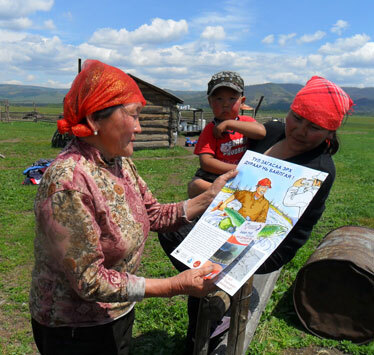 Although taimen continue to face a variety of threats, the species now has a community of local advocates and protectors that is spreading from riverbank to riverbank across Mongolia.